A long time resident of Gloucester County, Melissa lives in Woodbury Heights with her husband, Bill, their 3 kids and multiple pets. She enjoys being active with her family and can often be found on the sidelines of the baseball and softball fields cheering her kids on. An avid student of history, she loves perfecting her DIY skills with her husband in her 105 year old home. Melissa began her journey in the world of real estate in the mid 80s working for her parents as the administrative support for their busy team of agents. In 1990 she earned her real estate license just out of high school. 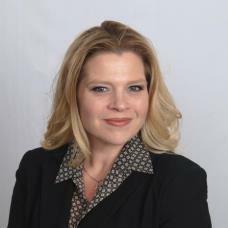 Over the years Melissa has also worked in the title industry and the mortgage industry. She specializes in marketing and utilizing social media platforms in the real estate industry.